There is a Makeup Revolution Sale going on right now at Ulta! From eyeshadow palettes to ultra blush and contour palettes, there is plenty to choose from in the By One Get 50% Off Sale at Ulta! 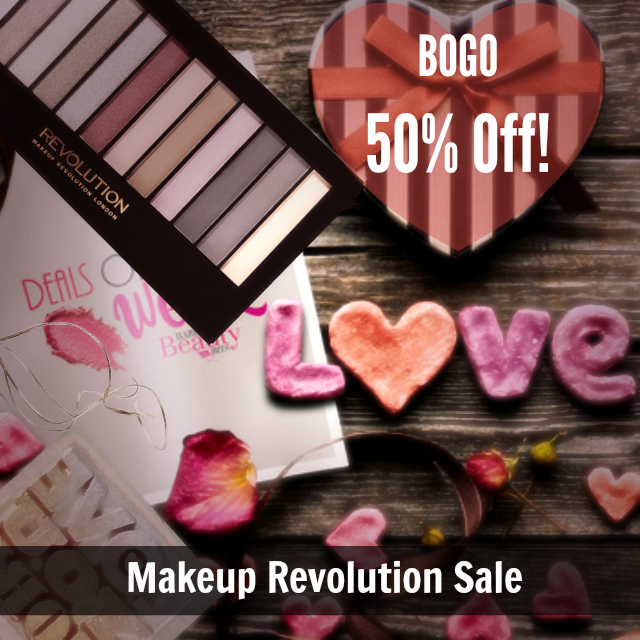 If you are not familiar with the Makeup Revolution line, they launched in London in March 2014. They offer the VERY latest makeup trends, ranging from professional, must have products as well as limited edition collections – at an affordable price! Plus their line is cruelty-free! There are some eyeshadow palettes which present themselves as dupes to the Urban Decay Naked line. Like the "It’s Iconic. It’s Smokey." This palette has 12 smoked shades from greys to browns and, of course, blacks for the perfect smokey eye! Makeup Revolution also has the Iconic 1, 2 and 3 for the other Naked Palette dupes. And with a BOGO offer like this from Ulta, you can't go wrong!